wind starts to blow, and the trees begin to sway, the question in many people’s minds becomes will my trees blow over in the strong winds. for this to happen are the result of many days of heavy rain, or a burst water pipe or something of that nature. The signs will be very obvious because the soil will be soft, squishy and often mudy all around the base of the tree.thing and is usually associated to something happens the roots can no longer get the same holding power from the soil that it has become accustomed to, and can no longer take the wind that it usually can.else as well. 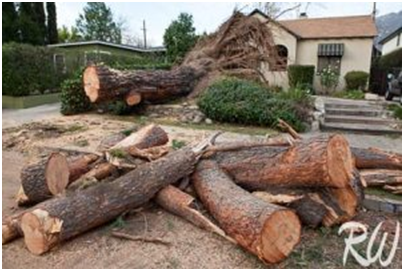 One thing that can make a tree more susceptible to blowing over in the wind is if the soil that surrounds it suddenly becomes super saturated. means that the soil that the roots are in has been separated from the soil around it and then becomes much more likely of falling. Outside of these few signs, there are not many signals that you tree might blow over, and really isn’t that likely, although not impossible. What is more likely to happen in the wind is tree failure in the canopy or worse yet a scaffold failure in major branch structure, but we’ll talk about that more in depth tomorrow. 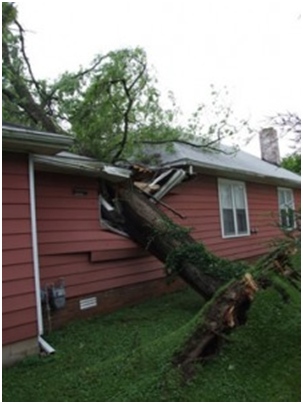 No matter what happens, if you are concerned at all about your tree be sure to contact a certified arborist near you.